Cover art by Robert Carter. Robert Carter is a multiple award-winning, full time professional freelance illustrator. Born in St. Albans, England, he moved to Ontario, Canada, at an early age. He went on to study Art and Illustration, graduating from the prestigious Sheridan College School of Art and Animation. He has been working as a professional illustrator for more than a decade. Combining a strong foundation in portraiture with a unique sense of visual and conceptual problem-solving, he creates striking, vibrant, and textured illustrations and portraits with subjects ranging from the realistic to the surreal. 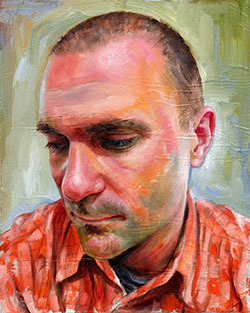 With a background in traditional oil painting, Robert applied those skills to the digital realm and taught himself the digital painting medium, which is now his preferred method of working for its speed and flexibility. Next month in Apex Magazine, we will have original fiction by Mary Pletsch (“Folk Hero”), and Douglas F. Warrick (“Cuckoo Girls”). Our poetry is by Tina Parker, Tina Jens, and Cullen Groves. 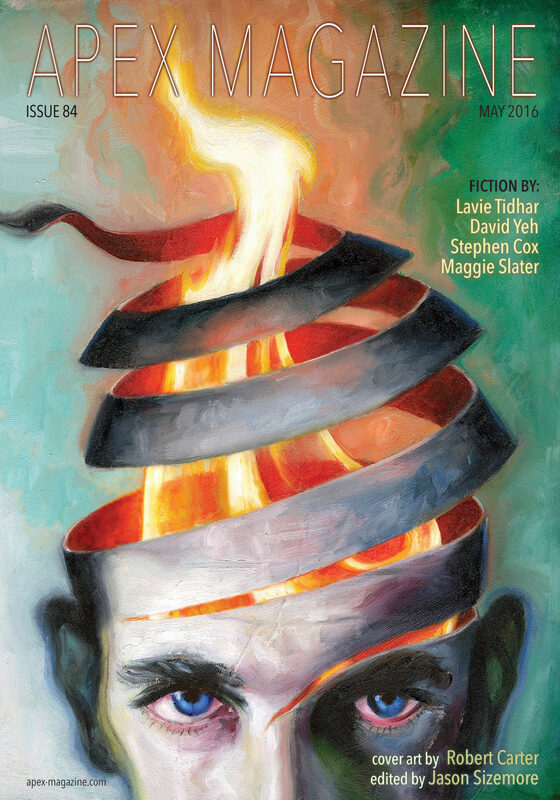 Our reprint is a novelette by Aliette de Bodard (“Memorials”). Cover art will be by Joe Badon. Look for this and more in Apex Magazine issue 85 coming in June, 2016.